The tastefully articulated decorative elements of the new Arden bath line are purposely minimized to fit any décor, making the collection perfect for homeowners seeking a design that can adapt to changing tastes. Given its ability to suit any style segment, Arden also is ideal for those sprucing up their spaces for sale, or contractors and builders looking to offer quality, yet affordable, fittings in a design appealing to everyone. Arden offers both lever and unique three-spoked handle options. 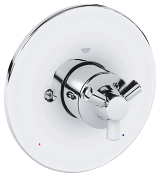 The mini wideset faucet is ideal for powder rooms or other small bathrooms, and is especially well-suited to replacement installations. 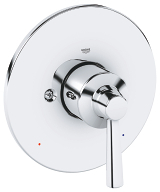 The collection also features coordinated Roman tub fillers, tub spouts with and without div erter, vertical spray bidet and pressure balance valve trim. 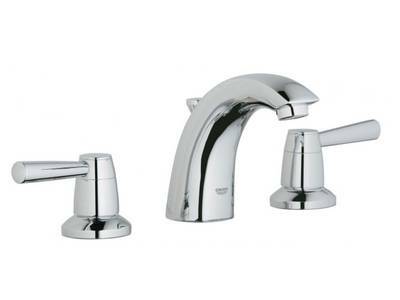 Arden features GROHE StarLight® technology for a brilliant long lasting chrome finish; and for precise, smooth control of your water flow, GROHE SilkMove® technology.